I am a big believer in the power of goals. 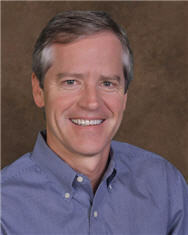 For me, as a young CPA back in the 1980s, goals became the tool I used to grow and succeed in my career. I believed that I could use goals to ensure that my trajectory as a young business professional was toward becoming better and better at my craft. Goals helped steer my career upward and onward so that as each year went by, I felt confident that I was increasing my ability to add value in the business world. Goals are also powerful when you use them to focus on the financial results that matter in your business. That’s why setting specific financial goals and targets is Step 1 in the Monthly Financial Rhythm of business. Here is a link to a post I wrote on my Financial Rhythm website that provides the rationale behind the power of goals. And it shows you specific examples, as well as showing you how to bring the power of goals to improving your profitability and cash flow this year. NOTE: You can grab a copy of my newest book at Amazon. A Quick Start Guide to Financial Forecasting: Discover the Secret to Driving Growth, Profitability, and Cash Flow Higher provides a straightforward, easy-to-understand guide to one of the most powerful financial tools in business: a reliable financial forecast. It will transform the financial future of your company and help you make better business decisions. Get the book at Amazon. Warren Buffett popularized the term “moat”, or “economic moat”, as a way of describing an advantage, or protection, a business has over its competitors. He believes that the size of the “moat around a business” tells a lot about how viable the business will be as time goes by. I love the moat analogy. It provides a symbol for the work you have done to make it difficult for the enemy to come after your customers and your profits. If you look at your business as an “economic castle”, then you have an obligation and a duty to protect it from those who might do harm to it. Here is a post at my Financial Rhythm website where I walk through each of these questions in more detail. And I talk about the underlying reason that Warren Buffett is so fond of creating an “economic moat” in business. Most entrepreneurs and business owners rarely consider how much they have personally guaranteed. And they are shocked at the total dollar amount they are personally responsible for (despite doing business as a corporation or LLC). One reason the number is so surprising, and so big, is because the guarantees have occurred over a number of years as the business has grown. Over time, as your business grows, the number and amount of obligations you’ve guaranteed goes up. But as you grow your business and become more successful, it’s wise to think more strategically and thoughtfully about how you handle your personal guarantees. Here is a link to a form to help you list and quantify your existing personal guarantees. Now is a great time to quantify the dollar amount of your personal guarantees. Then begin reducing them. One thing is true in life and in business - time is going to pass. Your business is going to generate financial results of some sort or another as each month goes by. The future is going to become the present… very soon. And what does financial success in business look like in your mind when you think about where you want to take your business? “I don't much care where,” said Alice. “Then it doesn't matter which way you go,” said the Cheshire Cat. To me, that scene from Alice in Wonderland is a fantastic reminder that defining “where you are going” is very important in business and in life. It’s hard to get where you are going if you don’t know where you are going. Here is a link to a post where I share their very insightful approach to thinking big… but going small. 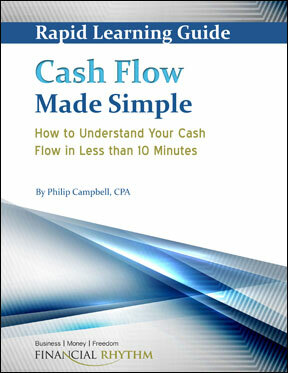 The Cash Flow Focus Report is a simple, common sense tool for understanding your cash flow that only takes 10 minutes a month to complete. It’s a big picture tool I use to understand the drivers of cash flow and put my finger on the pulse of a company’s cash flow. One way to look at the 2-Minute Conversation is to imagine that you are about to sit down with your banker, or your business partner, or an investor (maybe even your spouse). You have 2-minutes to briefly explain to them your financial results for the month. Not the nitty-gritty-greasy-grimy details. Just a short, big picture discussion about the company’s cash flow that enlightens the people you are talking to. If I work in the business, or I'm a shareholder or on the Board, I create the focus report every single month. If I am looking at making an investment in a company (public or private), I create the focus report for the most recent year. It is a super-fast way for me to find out if I am interested in the company. I recently looked at an intriguing small (publicly held) company and wanted to share with you the Cash Flow Focus Report I created (and show you how I created it). The company is Scott’s Liquid Gold, Inc. Here is a brief recap of the history of the company from their website. The company develops, manufactures, markets and sells household and skin and hair care products. The Company operates through two segments: household products and skin and hair care products. Here is a link to the Cash Flow Focus Report I created for Scott’s Liquid Gold, the resulting 2-Minute Conversation, and the step-by-step process I used to quickly home in on, and understand, the cash flow of their business. It is a great example that shows how fast you can get on top of (and understand) the cash flow of a business. Some words just seem odd next to each other. Each word just looks a little funny next to its opposite. Here are some words that are not only odd when put next to each other, they are scary. I Love the Words "Financial Rhythm"
For me, the words financial rhythm captures the essence of what financial management in business is all about. As a seasoned CFO, the words financial rhythm paints a beautiful picture in my mind of what driving profitability, cash flow and wealth is all about in a business. A business with a well-orchestrated financial rhythm in place is a business that makes good money and rewards its owners financially. Profits and cash flow are strong. Value is being created. Music is being made. Wealth is being created. There is a pulse, a flow, a cadence at work in the business that produces beautiful financial results. The opposite is a business that struggles financially. A business whose finances are disorganized and chaotic. The music it plays sounds more like the scratching of fingernails across a chalk board. There is Financial Chaos at work rather than a natural, healthy financial rhythm. Take a minute to consider whether the Financial Rhythm in your business is producing financial happiness or financial chaos. Maybe now is the perfect time to implement an effective Financial Rhythm in your business. They feel like they have a “cash flow leak” somewhere in their business. But they are unsure where the leak is. Or why it is happening. Or how to fix it. With no real answers or solutions to their problem, their tendency is to “punt” on understanding what's going on with the cash, and just hope that the cash flow will eventually take care of itself. An increase in cash is not always good… and a decrease in cash is not always bad. If cash was up for the month because you were forced to borrow money on your bank line (to fund losses) even though your plan was to pay the bank line down that month, that would be a bad thing. On the other hand, if cash was down because you decided to pay your debt down quickly, that would be a good thing because you are on plan to use the excess cash generated in your business to reduce overall debt. I talk more about each reason here. “To really succeed in whatever is the business of your choice, you have to come to understand and utterly absorb into your being the fundamentally true idea that your activities in your business are virtuous and moral, provided of course that you conduct your business affairs honestly and honorably. That quote is from Rabbi Daniel Lapin, in his book Thou Shall Prosper. Rabbi Lapin believes that making money in business comes from serving your fellow human beings in a way they value and appreciate. In his view, business is a spiritual undertaking because it requires that you serve someone in a way they appreciate… or you have no business. He likes to use Walter William’s description of money as “certificates of performance”. When you provide a product or service that someone wants, they show their appreciation by giving you certificates of performance. It’s all part of the virtuous cycle of life. Provide value... and receive value. A Quick Start Guide to Financial Forecasting: Discover the Secret to Driving Growth, Profitability, and Cash Flow Higher provides a straightforward, easy-to-understand guide to one of the most powerful financial tools in business: a reliable financial forecast. It will transform the financial future of your company and help you make better, faster, smarter business decisions. Order the book at Amazon. Imagine the P&L of two competing businesses. Company #1 has annual sales of $5,000,000, owner salaries of $200,000, and a profit for the year (after taxes) of $600,000. Company #2 has annual sales of $5,000,000, owner salaries of $100,000, and a loss for the year of $200,000. Question: Which business would you rather own? Now put yourself in the shoes of a customer. Let’s imagine that you are deciding whether to do business with company #1 or #2. The product or service they provide for you is important to your business and you will be buying from them monthly… and their prices are not far apart. And assume that you know what their P&L looks like. You have the information I shared above about their sales and profitability (or lack of profitability). Question: As a customer, which company would you rather do business with? Yes, there are lots of factors that would go into your decision as a customer. But financial health in business has its benefits… whether you are the owner of the business or its customer. Here is a link to a complimentary copy of Bonus Chapter 1 from my most recent book. 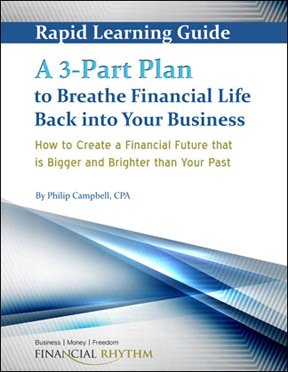 The Bonus Chapter is titled A Three-Part Plan to Breathe Financial Life Back into Your Business. It will give you a sensible plan, a roadmap, you can follow that will guide you on your path to building a financially strong, healthy business. He used their See’s Candy business as an example of a great business. It’s a very revealing and educational review of what a fantastic company looks like financially. Here is Buffett’s description of their See’s Candy business (the full descriptions of great, good, and gruesome businesses is on my Financial Rhythm website at (https://financialrhythm.com/warren-buffetts-view-businesses-great-good-gruesome/). “Let’s look at the prototype of a dream business, our own See’s Candy. The boxed-chocolates industry in which it operates is unexciting: Per-capita consumption in the U. S. is extremely low and doesn’t grow. Many once-important brands have disappeared, and only three companies have earned more than token profits over the last forty years. Indeed, I believe that See’s, though it obtains the bulk of its revenues from only a few states, accounts for nearly half of the entire industry’s earnings. We bought See’s for $25 million when its sales were $30 million and pre-tax earnings were less than $5 million. The capital then required to conduct the business was $8 million. (Modest seasonal debt was also needed for a few months each year.) Consequently, the company was earning 60% pre-tax on invested capital. Two factors help to minimize the funds required for operations. First, the product was sold for cash, and that eliminated accounts receivable. Second, the production and distribution cycle was short, which minimized inventories. Last year See’s sales were $383 million, and pre-tax profits were $82 million. The capital now required to run the business is $40 million. This means we have had to reinvest only $32 million since 1972 to handle the modest physical growth – and somewhat immodest financial growth – of the business. In the meantime pre-tax earnings have totaled $1.35 billion. All of that, except for the $32 million, has been sent to Berkshire (or, in the early years to Blue Chip). I put Buffett’s full description of each type of business in a blog post on my Financial Rhythm website. I love the way Buffett describes, and provides examples of great, good, and gruesome businesses. It provides us with a wonderful lens in which to look at our own businesses and consider how we are managing them. The three different types of businesses must be managed in very different ways. Take a few minutes to read the full description here. Then consider which category your business fits in.